The individuals living with the struggles of addiction are normal, everyday people. They are neighbors, friends, coworkers, and maybe even a parent, sibling, or spouse. For Cody, a young father of two, the realization of an alcohol problem came with seeing the disappointment on his kids’ faces when an afternoon of consuming alcohol meant he couldn’t take them to the park. The month of September has been set aside to celebrate National Recovery Month and the strides that those working through recovery and clinicians in the field have accomplished. Family Guidance Center would like to raise awareness of the fact that addiction treatment services don’t just impact the affected individual but rather the entire community at large. Ben is another life that has been changed through the support of Family Guidance’s Addiction Treatment Services. Hooked on the narcotic Dilauded since his teenage years, Ben continued to struggle with the consequences of his addiction for eight long years. The drug caused him to isolate himself from society, cutting him off from others and leaving him financially stripped and dependent upon his parents. 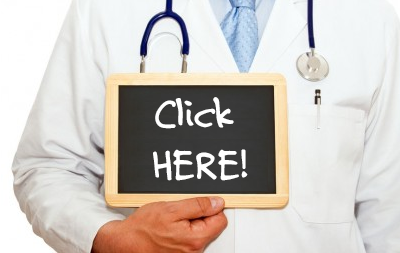 Addiction is a disease affecting the brain, and if people could simply say no, they would. FamilyGuidanceCenter has a successful history of helping individuals in their journey through recovery. Addiction Treatment Services provides both inpatient and outpatient care for alcohol dependency, compulsive gambling, and drug addiction including meth, cocaine, and prescription painkillers. Ben and Cody are both examples that there is life after addiction. ContactFamily Guidance Center to learn more about area services. Could You Spot Pediatric Depression in Your Child? For many children, childhood is a fun and carefree time. For others with depression, this may not be the case. Research shows that pediatric depression can manifest itself in children even as young as preschool age. But how can parents distinguish between normal shifts in mood and a more serious mood disorder like depression? According to author and clinical psychologist, Deborah Serani, PsyD, in her book entitled Depression and Your Child: A Guide for Parents and Caregivers, there are several signs parents and caretakers can watch for to help identify true pediatric depression. Withdrawing from the outside world or losing interest in things that the child would normally enjoy such as play, school, sports, or hanging out with friends. Becoming lethargic, tired, or easily agitated. Children may also complain of physical aches or pains. Expressing repeated feelings of worthlessness – not being good enough or not measuring up. Exhibiting a distinct change in behavior that is out of the norm. For instance, a sudden slip in grades or desire to sleep more. Isolating oneself or retreating to a secret hiding spot. Parents or caregivers who have concerns should take the following actions, said Serani. Talk to a doctor to rule out any medical conditions like anemia, mono, or a streptococcus infection, which could be the cause of depression-like symptoms. If no medical condition is present, visit with a mental health professional trained in mood disorders. Childhood screenings can help identify depression or precursors for depression as well as best-suited options for treatment or intervention. Continue to remain vigilant regarding symptoms. Every child has “off” days. However, symptoms of depression usually endure for more than two weeks and start to affect various aspects of daily life. If you or someone you know has concerns about pediatric depression, contact Family Guidance Center. Depression isn’t a condition that children simply outgrow, and the best outcome for treatment comes with early attention. Last year alone, Family Guidance helped nearly 1,000 area children. Learn more about free screenings and available programs at familyguidance.org. Mental health disorders, similar to chronic physical health ailments like diabetes and hypertension, are typically both manageable and treatable. 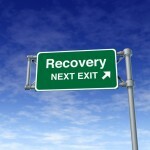 While recovery is a journey, it is rewarding and fulfilling if one is open to the process. September is National Recovery Month, a period set aside to honor the achievements of those living with substance abuse disorders and the individuals who have dedicated their time to working in the field of recovery. 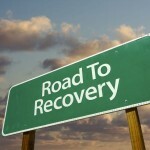 The focus of National Recovery Month for 2013 is the element of prevention and the different methods by which individuals can pursue treatment. Many people may not be aware of their options. National Recovery Month is a time to increase awareness and accessibility of resources and programs available for those in need. Recovery helps individuals take back control of their lives so that they can move forward with purpose, achieve better health, and lead with a new sense of direction. Successful recovery programs look at four aspects of daily life including home life, sense of purpose, overall health, and community support. An individual who does not have a safe environment in which to reside or who lacks a fulfillment from such activities as working, going to school, volunteering or caring for others, will find it difficult to move forward with recovery. Recovery programs aim to help individuals gain their independence, lead meaningful and productive lives, and make healthy life choices. Forming relationships with others in the community who also encourage and support the recovery process are an integral in achieving success. The process of recovery starts with seeking help. It may help to create a recovery plan. Putting a recovery plan in writing is beneficial for determining individual objectives and what is hoped to be achieved, how those particular goals will be accomplished, and any triggers which may impact recovery. It’s also good to monitor changes in mental health and discuss these changes with a professional. Family Guidance Center has both inpatient and outpatient addiction treatment programs as well as professional counseling for both individuals and families. Recovery is possible. To learn more about addiction treatment services, contact Family Guidance Center. Alcohol is often used to mask deeper emotions such as depression that people don’t wish to confront. For the person living with depression, avoiding alcohol can be particularly difficult because of the underlying emotional turmoil that fuels addiction. Entering into a joyous occasion such as a birthday celebration or holiday party can exacerbate feelings of depression and even serve as a catalyst for drinking as the affected individual struggles to understand why he or she can’t relate to others who always seem so happy. Men and women diagnosed with depression may wonder if recovery from substance abuse disorders is even possible. The fact is there are treatments designed for those who are working through both issues. Medications can also help to regulate moods and minimize cravings. Keep away from people or situations that serve as triggers for drinking or depressive symptoms. This doesn’t mean that it’s necessary to take a rain check for every celebratory event. For these occasions, it’s important to take along an accountability partner and have a plan for the night’s agenda. For example, maybe the plan is only to stay for an hour, say hello, then exit before any drinks are served. If it’s early in the recovery process, such events may need to be avoided altogether until the person has regained some footing. Reach out and build a strong support network. It’s critical to have people to talk to when feeling low or when reinforcement is needed. It helps to include other relatable individuals in this group who are also working through the same issues of depression and addiction. Take ownership of the recovery process. Ultimately, no one is going to make a person get sober other than themselves. It’s important to realize that temptations will always exist, so it’s critical to learn the skill of self-control and know when to say no. Family Guidance Center works with over 1,600 people every year to aid in their recovery. 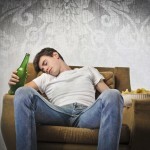 The symptoms of substance abuse and depression are manageable and treatable. The truth is, each year mental health affects about 25 percent of the adult population. Call Family Guidance Center today learn more about programs in your area.